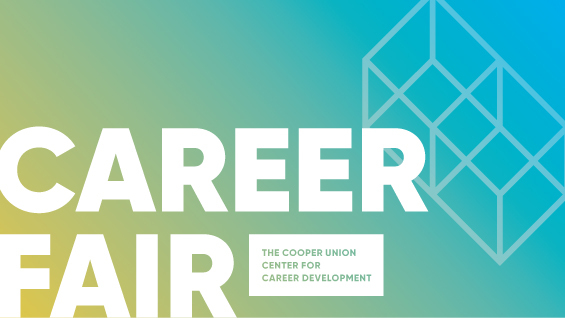 The Center for Career Development at the Cooper Union invites you to participate in our Fall Career Fair. The Cooper Union offers degree programs in architecture, art, and engineering (chemical, civil, electrical, mechanical, and general engineering). Please visit the following links to learn more about our architecture, art, and engineering programs. The fair is open to all current students, but the largest number of attendees will come from the Nerken School of Engineering. Students will attend seeking internships, full-time positions as well as information about graduate school. Organizations can register to attend the Fall Career Fair via Handshake. We allow a maximum of 3 representatives per organization. Due to the size of the space we cannot allow for more than the maximum. Registration Deadline: Friday, September 13, 2019. Payment Deadline: Friday, September 20, 2019. We accept check or credit card payments. Checks should be made payable to The Cooper Union. Please see below for our mailing address. We require 2-weeks advanced notice in order to receive a full refund. If cancelled 1-week prior, a partial refund will be issued. Anything less and your payment will be forfeited. For additional information, please contact the Center for Career Development (career@cooper.edu or 212.353.4377).